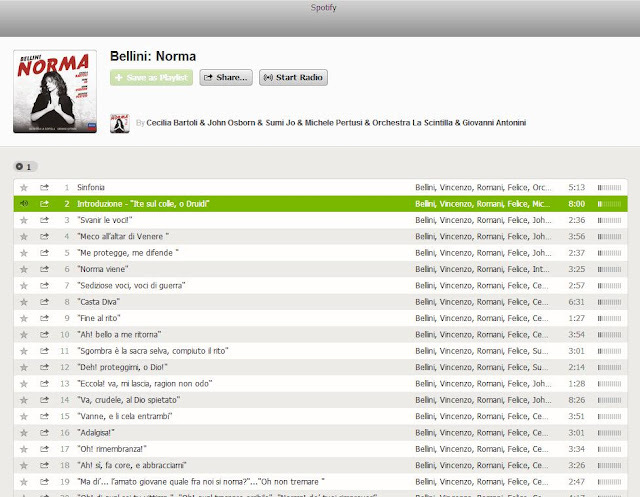 Presented in a form that is complete with the exquisite mix of vocal and instrumental colors that Bellini allegedly intended for his ‘tragic opera’, Bartoli’s Norma evokes the style and artistry of the legendary soprano Giuditta Pasta, the opera’s original heroine. The Italian superstar continues her mission to reveal lost details of expression and emotional variety in music covered by the dark varnish of later performance traditions. Norma, often portrayed as a superhuman priestess, emerges in Bartoli’s performance as a woman of flesh and blood, torn between duty and love. Bartoli's Adalgisa is Lyric Coloratura Sumi Jo - clearly cast as Bellini intended, which was to have Adalgisa portrayed by a soprano. 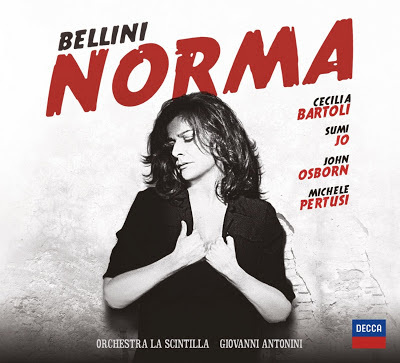 Decca’s studio recording of Norma employs the latest critical edition of Bellini’s score, painstakingly restored from manuscript and early printed sources. The sounds of period instruments from the composer’s time, brought to life by Orchestra La Scintilla and conductor Giovanni Antonini, underpin and blend with the timbres of a cast carefully chosen. Saw the opening night of the Salzburg production - in 61 years of opera going it was amongst the top 10. Strangely Norma is not an opera I love greatly but I have seen two exceptional performances at either end of the scale: Caballe at Orange and Bartoli at Salzburg. Both incredible memories.